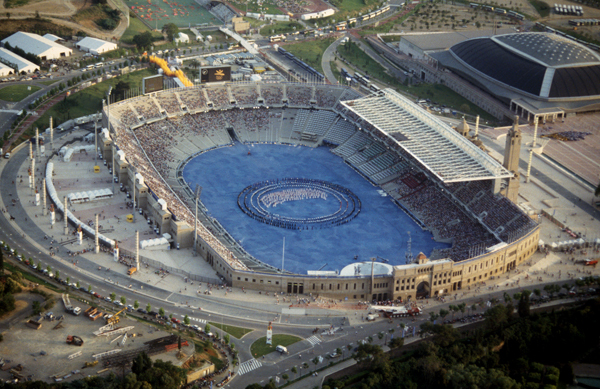 During the Games of the XXVth Olympiad, the Estadi Olímpic (Olympic Stadium) was the stage for the opening and closing ceremonies, the track and field competitions and the final stretches of the marathon and race walking events. 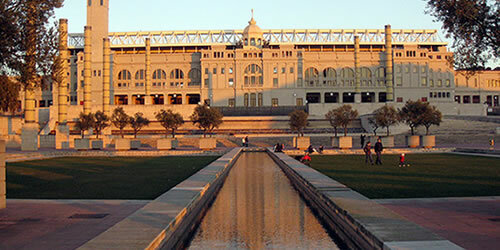 The current facility is the result of remodelling the former Estadi (Stadium) designed by Pere Domènech i Roure in 1929 for the Barcelona International Exposition. 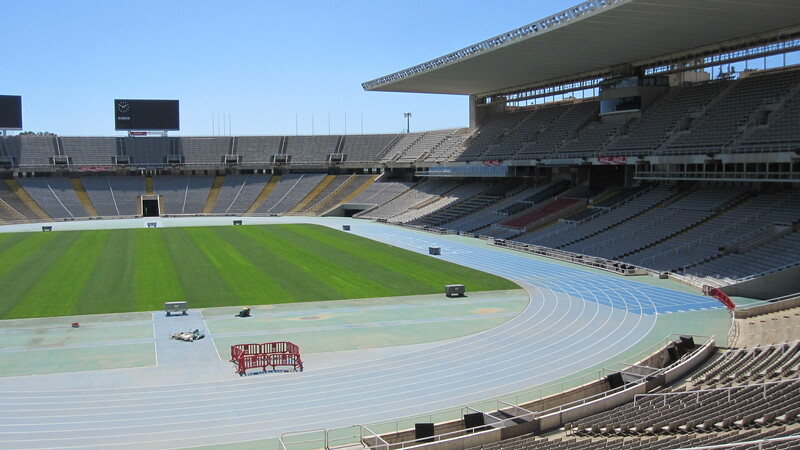 It was also one of the stellar facilities of Barcelona’s bid to hold the 1936 Olympic Games. The remodelling works involved retaining the original façade while demolishing and rebuilding the interior of the stadium to increase capacity and the number of services, and to bring it up to standard to meet the requirements of high-level competition. 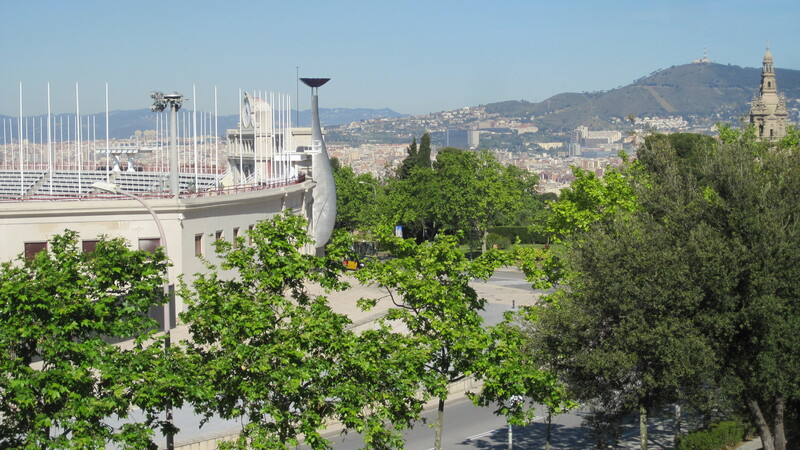 It became the main building of the Anella Olímpica (Olympic Ring) located on Montjuïc hill. It has a capacity for up to 60,000 people, though that number can be increased for concerts and performances by using the field. 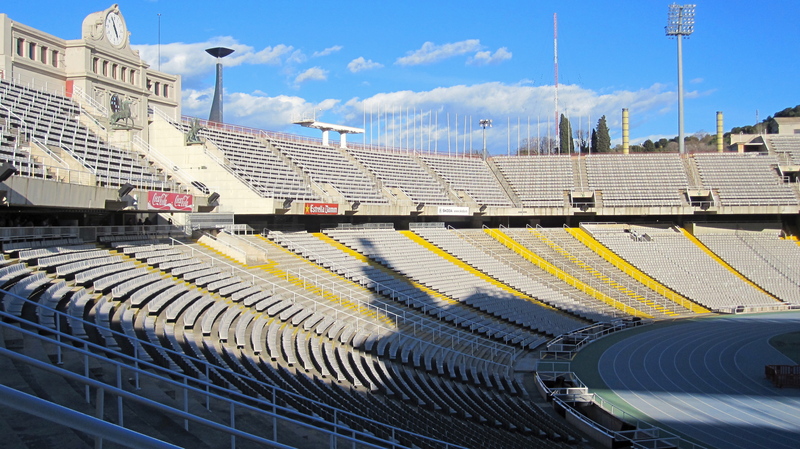 In 1955, the Estadi was the main facility for the IInd Mediterranean Games. 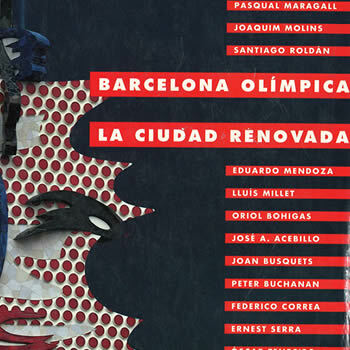 After that event, however, it fell into disuse until —with Barcelona’s Olympic bid— remodelling works began and have basically continued right up to the current time. Renamed in 2001 as the Estadi Olímpic Lluís Companys (Lluís Companys Olympic Stadium) after the former President of the Government of Catalonia, who was executed by firing squad under Franco’s dictatorship, it was home to RCD Espanyol de Barcelona football club from 1997 to 2009. In 2010, it hosted the 20th European Athletics Championships, for which it was partially remodelled again. It is ranked as a five-star stadium by UEFA, meaning that it is suitable for hosting major football matches. COOB’92 (1989): El Estadio Olímpico: símbolo de Barcelona’92. 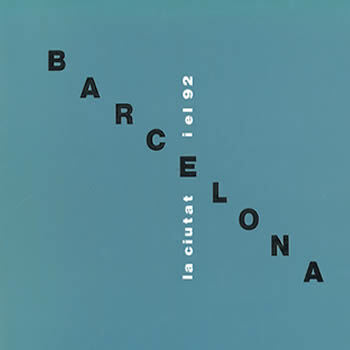 Barcelona: COOB’92. 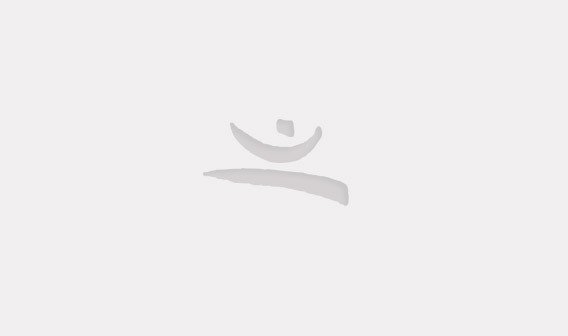 ISBN 8478680039. 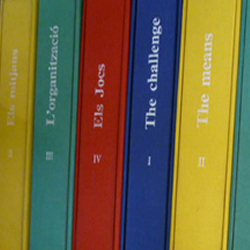 In the Barcelona Photographic Archive, you can consult the photographic and audio-visual documentation (more than 25000 photographs) generated by the by the Organising Committee Barcelona’92, SA (COOB’92), Holding Olímpic SA (HOLSA), Anella Olímpica de Montjuïc SA (AOMSA) (Olympic ring) and the Institut Municipal de Promoció Urbanística SA (IMPUSA) (municipal Institute of urban development).